STORIES OF REMARKABLE coincidences and synchronicity never fail to make us shake our heads in sheer astonishment, puzzlement, and delight in how the universe sometimes functions. Are they just cases of mere coincidence -- the random appearance of seemingly remote odds? Or is there something deeper, more meaningful, and ultimately more mysterious taking place? 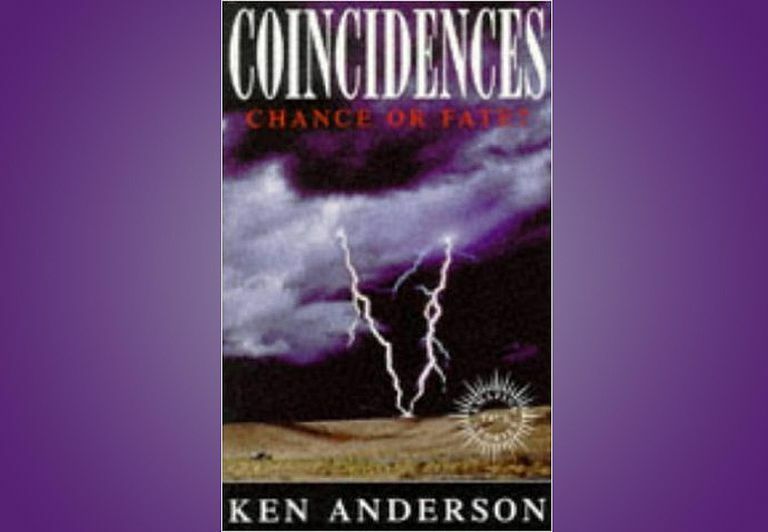 Consider these amazing cases, presented here thanks to the research by Ken Anderson in his book, Coincidences: Chance or Fate? These two astonishing tales of coincidence both come from Norway and both involve fish. Waldemar Andersen was fishing in the North Sea when he was happy to catch a good-sized cod. He took it home and began to prepare it for a meal. Upon cutting open its stomach, he found a gold earring. Noting that it seemed familiar, he presented it to his wife, who confirmed it was the earring that had lost when it fell into the water a week earlier. The second story took place in 1979 involves a 15-year-old boy named Robert Johansen, who was fishing in a Norwegian fjord. He was quite pleased to haul in a 10-pound cod that might serve as the family's dinner that night. His grandmother, proud of the boy, agreed and began to prepare the fish for supper. She was shocked to find within the cod's stomach a diamond ring, which she instantly recognized as a valuable family heirloom she lost in the fjord while fishing some ten years previous! A promising author was disturbed to find his manuscript on his front lawn. It was the manuscript he had given to his publisher in hopes of publication, but apparently it had just been thrown disrespectfully over his front yard fence. Did the publisher really dislike it that much? He called the publisher and asked why his work had been disregarded so tactlessly. The publisher explained that this was not the case at all; in fact, she had great hopes for the manuscript. So what happened? While she was dining at a restaurant, thieves broke into her car and stole several things, including the manuscript. Keeping the valuables, the thieves later just tossed the manuscript away, over a fence -- right into the author's front yard! Dr. Lawrence LeShan was researching a book he was in the process of writing on mysticism. When consulting with colleague Dr. Nina Ridenour on the subject, she offered several points of advice to him, including understanding the differences between Western and Eastern mysticism. To help in this understanding, she recommended to LeShan a book entitled The Vision of Asia by Crammer-Bing. Not long after, LeShan began to search for this book, but was unable to find it at two specialized libraries. Then, while walking home, he felt compelled to take a somewhat different route. As he was standing at a corner waiting for the traffic light to change, he looked to the ground and saw a book laying there. He picked it up. It was The Vision of Asia! This story has one last, strange twist. LeShan called Dr. Ridenour to tell her of the remarkable coincidence regarding this book she had recommended so highly. Her puzzling response was that she had never heard of the book. In 1899, while touring Texas, Canadian actor Charles Coghlan fell in and died in the city of Galveston. His body was placed in a lead coffin, which was sealed and the interred in a vault. A year later, a severe hurricane hit Galveston, causing much destruction, including the cemetery where Coghlan was buried. His coffin was washed out of the vault and out of the cemetery by the raging waters and was carried out to sea. The coffin drifted for years on the ocean currents, out of the Gulf of Mexico, along the Florida coast, and into the Atlantic Ocean where the Gulf Stream carried it north. Coghlan's body had drifted more than 5,600 miles when it was finally discovered in 1908 by fisherman on the shores of Prince Edward Island -- Coghlan's home! His body was reburied in the churchyard of the parish where he was baptized. This story will make you wonder if the idea of a tulpa is a reality. A tulpa is a thought form -- an object made real simply because it is thought of or meditated upon. Consider the experience of Barry Smith, who was attending a fancy dress ball at the behest of a friend. Before the dance he went with his friend to a restaurant for dinner. Afterward, when he was changing out of his dinner jacket, he noticed that his gold pen was missing, and he was sure that he had it with him during dinner. A thorough search did not turn up the pen, so he went back to the restaurant and described it to the staff: it was a gold Schaeffer pen inscribed with his name, "B. Smith." Barry was quite pleased when one of the staff said they had found it and it was returned to him. That evening, as Barry was packing his bags to return home, he found his gold Schaeffer pen -- another one inscribed with "B. Smith" -- in the bottom of his bag! So where did the one in the restaurant come from and to whom did it belong? Barry returned the one to the restaurant, but it was never claimed. Was the duplicate pen somehow manufactured out of thin air, or was this just some bizarre, unexplained coincidence? 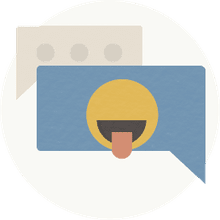 Several people have told me about experiences similar to the one that follows, and makes us wonder if they are premonitions or if there is a "glitch in the Matrix" that has been corrected. In Florida on May 13, a woman bank teller greeted a customer she had known for quite some time with a congratulations. She had seen the article about his daughter's engagement in the May 9 edition of the Sunday paper. She even remarked at what a lovely photo it was of his daughter that accompanied the announcement. One small problem: there was no such announcement. Not yet. The announcement did not actually appear in the paper until May 23. Yet the woman was able to describe the man's daughter exactly from the photo she had seen (she said she did not even know that he had a daughter until she saw the announcement) as well as the precise placement of the article in the paper -- all of which came to pass ten days later on May 23. I had my own puzzling Matrix glitch a few years ago. I have always been a big fan of the work of Ray Harryhausen, a master of stop-motion special effects in such movies as It Came from Beneath the Sea, Jason and the Argonauts, Mysterious Island, and the original Clash of the Titans, among many others. I was saddened to see a report of his death on a television program, which gave a retrospective of his amazing work. One big problem: Ray Harryhausen is still alive. So what was that obituary report that I saw?